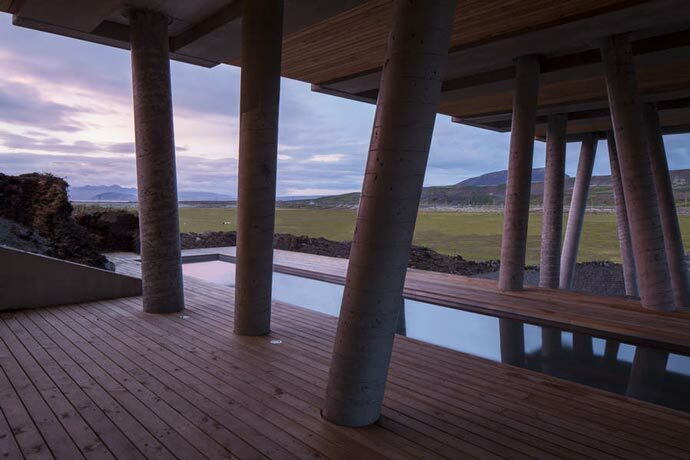 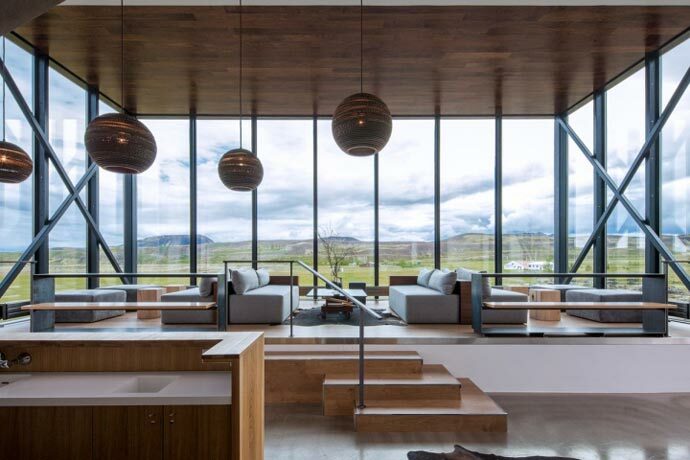 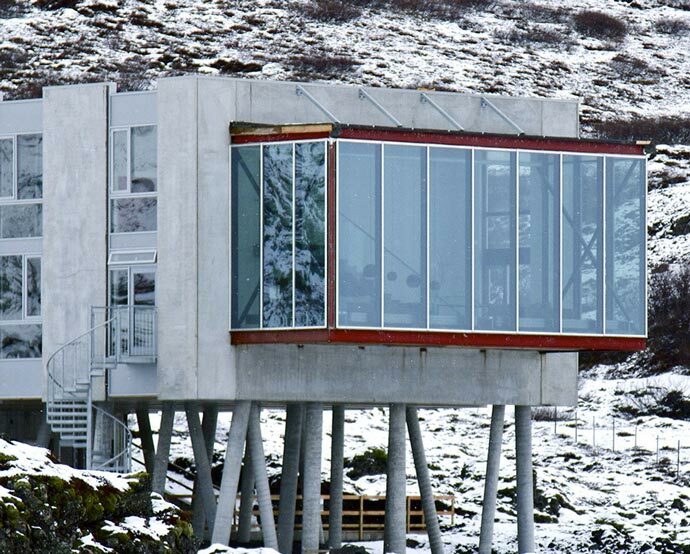 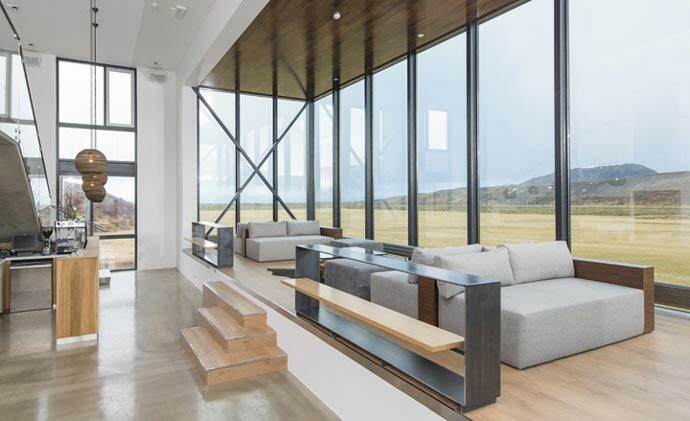 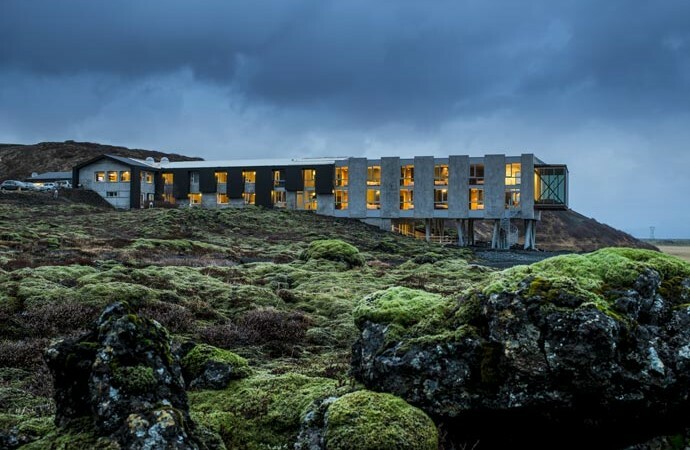 The newest hotel in Iceland, the Ion Hotel is only a one hour drive away from Iceland’s capital, Reykjavik, and located in one of the country’s most important cultural regions – Thingvellir. 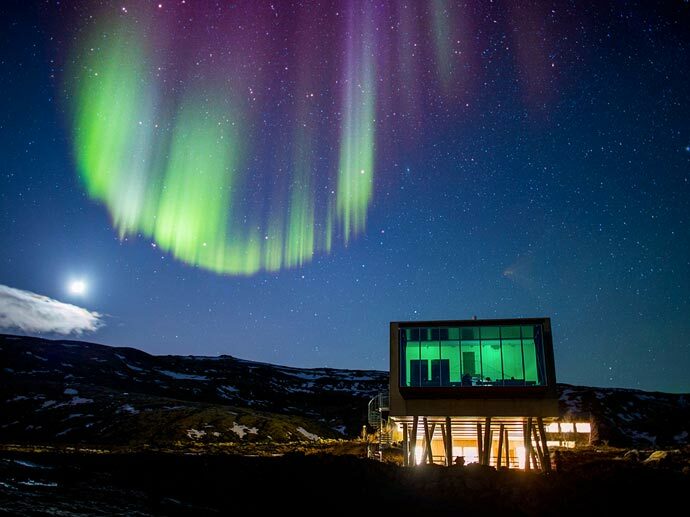 If you are interested in exploring Iceland’s striking nature – its glaciers, mountains covered with snow, beautiful Thingvallavatn Lake, lava fields and the ever-surprising enigma – the Northern Lights, the Ion Hotel is the perfect place to start. 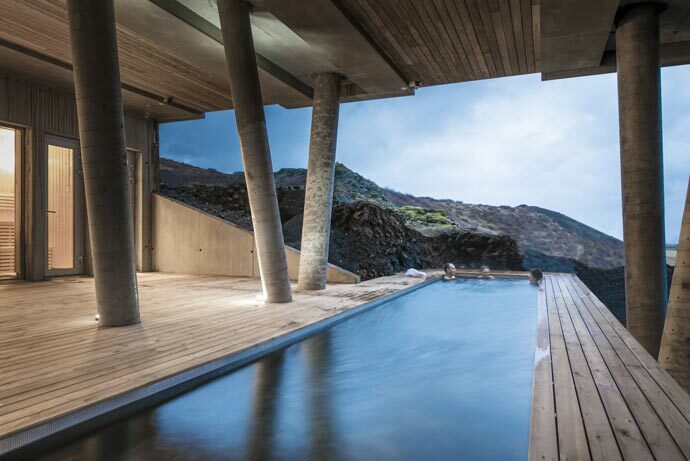 Designed and built by an architecture company Minarc from Santa Monica, this resort astonishes with its luxury and comfort, provides visitors with excellent service and offers unforgettable experiences. 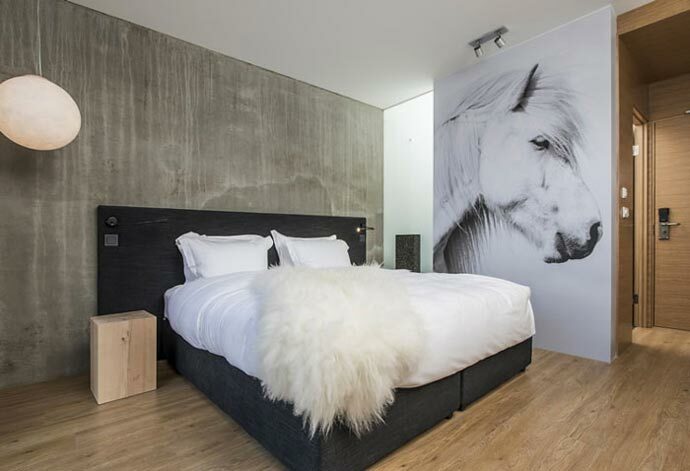 Materials of which it was made and organic and fair trade products it uses make the Ion Hotel eco-friendly – the furniture is made of natural materials, such as driftwood and recycled wood. 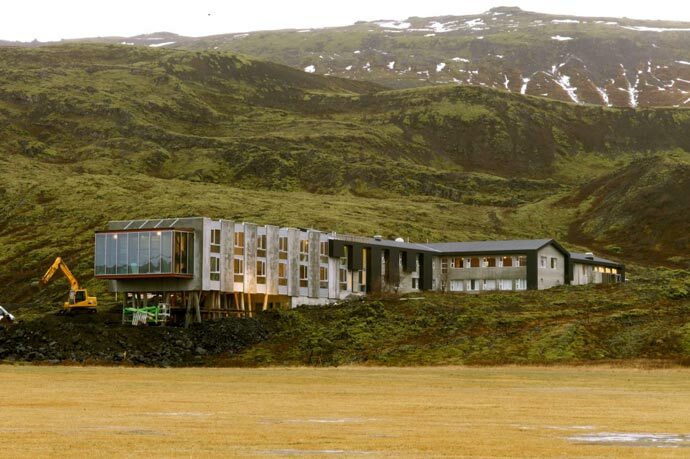 The hotel is surrounded by hot springs, which provide energy and geothermal hot water, so in a way, the hotel is also self-sustainable. 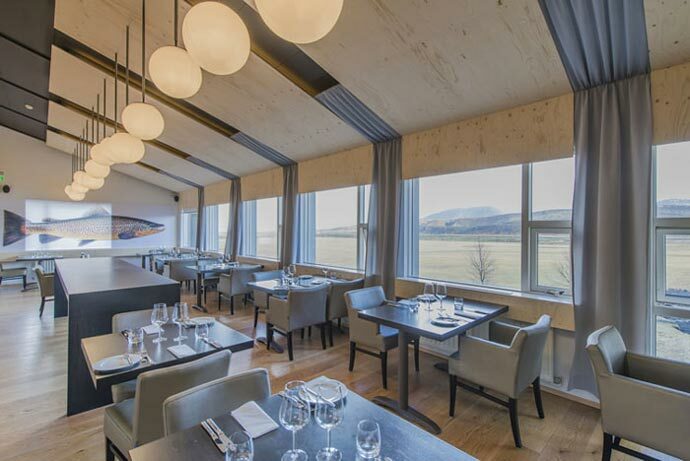 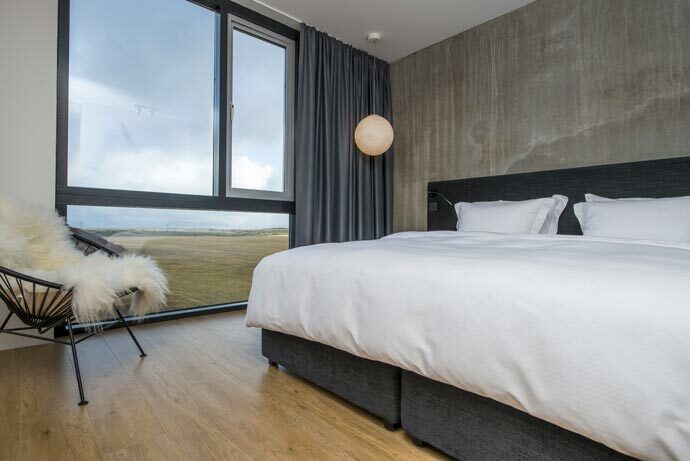 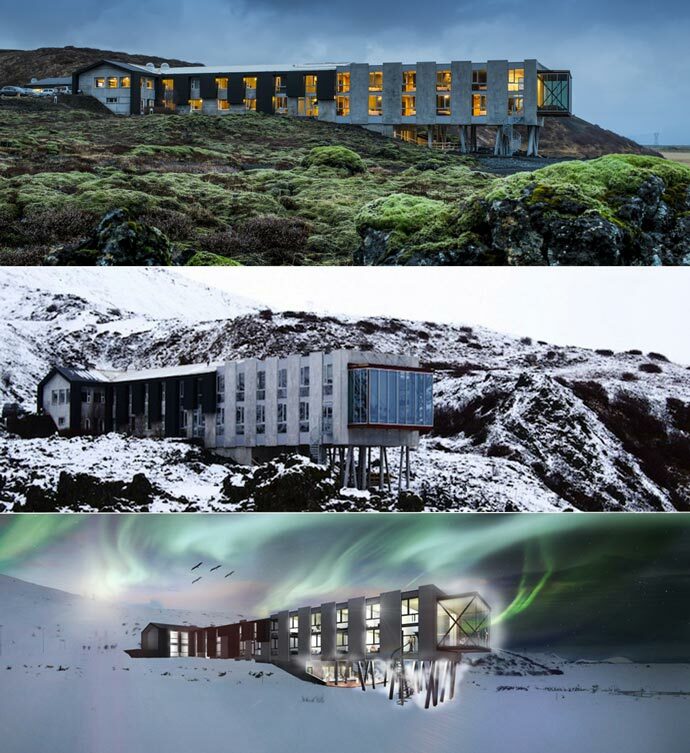 The resort’s interior is decorated with recognizable Icelandic details – pictures of the arctic fox, Icelandic horse, the Seljalandsfoss waterfall, etc. 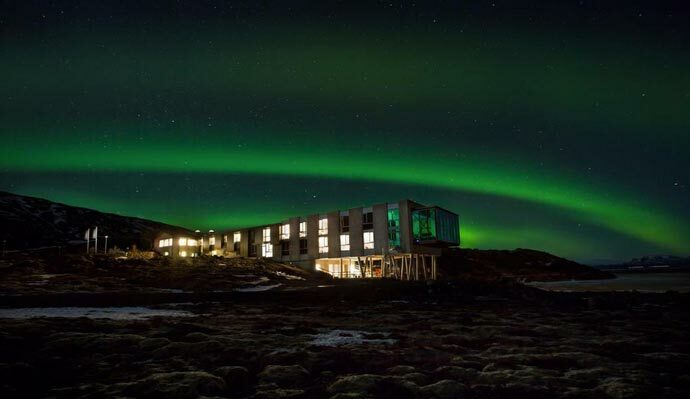 and the rooms are illuminated by lights made of found-wood and lava. 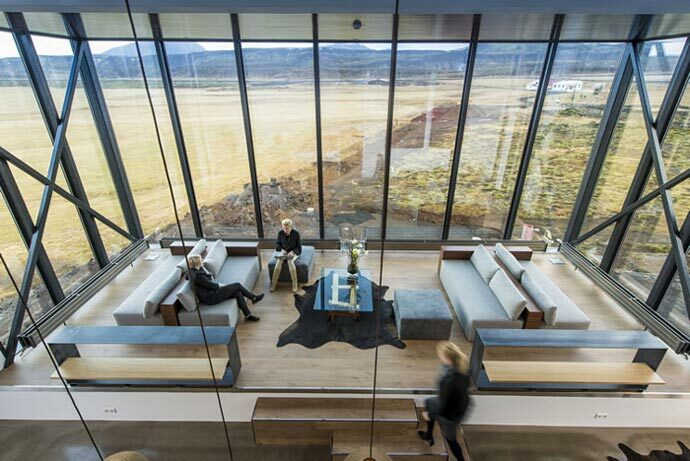 Large floor-to-ceiling windows are specially designed so guests could enjoy the best possible panoramic view of the surrounding nature.